Hey friend, it’s Jack. These journals are the story of how I escaped being a prince, found myself trapped, and finally saved the day. In this journal, I found my father and saved the day. When I left the human village, there was nothing that I could do to make Shoal come with me, and I knew that I had to take care of the kingdom. I had finally realized my purpose and how much my father mattered to me. Despite my aggravation at the guards, I knew that I couldn’t go out on my own to look for the king, so Pico and Max will be joining me. We’ll be sure to brave skeletons and creepers and bring my father back safely to run his kingdom. 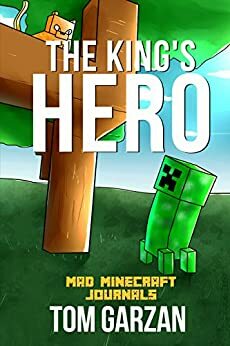 *This book is not produced or marketed by Mojang or Minecraft and is the sole property and imagination of the author.